While EUR is being supported due to the Wholesale Price Index in Germany, USD is also empowered by the new president’s speech. 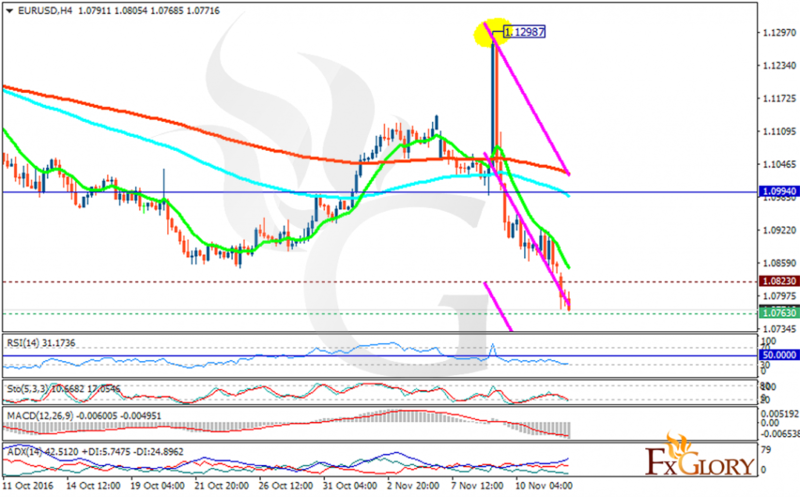 The support rests at 1.07630 with resistance at 1.08230 which both lines are below the weekly pivot point at 1.09940. The EMA of 10 is moving with bearish bias and it is below the EMA of 100 and the EMA of 200. The RSI is moving in oversold area, the Stochastic is showing downward momentum and the MACD indicator is in negative territory. The ADX is showing buy opportunity. The support level breakdown will drag the pair to lower levels. Short positions are recommended at the moment.